Under the watch of the Federal Trade Commission, alcohol advertising has become a legal minefield. Backed by statistical analysis correlating the influence of different mediums on different age groups, television spots and print advertisements are subject to a breadth of restrictions such as publishing in media where less than 70% of the audience is younger than 21-years-old, promoting alcohol content percentage or its effects, and using animation that may appeal to children. 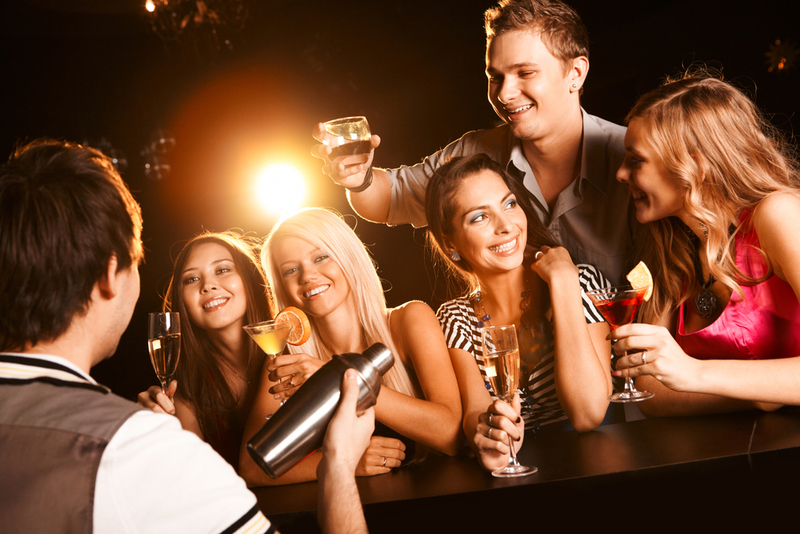 Across the board, social media has become a new venue for promotion, and alcohol is no exception, but not due to any shortcuts — the regulations remain the same, if not further complicated by the vastness of social media’s technical capabilities. The diverse approach allowed by Facebook and Twitter, coupled with the expansiveness of their user bases and their extended reach, have redefined the way liquor and wine brands communicate with their consumers. Of course, with creative diversity comes added complexity. Some brands alienate their own fans — been iced lately? — while others successfully add a long-sought human component to their identities. Building a culture around a product, disseminating the history and value in the process, strengthens the promotional approach. Play the social game correctly, and you’ll build a base of consumers who not only appreciate your product, but more importantly understand it, engage with it and advocate it. Of all methods, though, gamification, event promotion and contests are leading this market. Below, you can find three brands who are proving this to be true. Wines of Chile is the body responsible for the international promotion of Chilean wine, a particularly unique enterprise considering that one of the distinctive qualities of Chilean wine producers is their ability to plant grapes outside of their natural environments. In 1994, in fact, after spending most of the 20th century believing they were producing Merlot, a professor at Montpellier’s School of Oenology confirmed that Chilean wineries were actually producing a Merlot-Carménère hybrid. The unique geographical makeup of Chile had not only allowed the grape to thrive, it had provided it with a distinctive, spicy touch. From there, their reputation grew. Now, Wines of Chile, in connection with the Chilean government, uses their wine and unique production strategy as a venue for promoting national tourism. For the task they hired Lush Life Productions, a full-service wine and spirits marketing agency based in New York, who took over Wines of Chile’s social media strategy. Unlike traditional advertising, which endorses the supposed experience surrounding alcohol — think lavish parties, bright lights and perfectly chilled bottles — Lush Life’s social approach provides a feel for character; in the case of Wines of Chile, they proposed, gamification would allow for the gradual embrace of the product on the part of consumers, rather than a 30-second pitch that may catch attention but not stick. After finding success in Facebook and Twitter strategies (for wine, the former is the most direct route to consumers, while the latter is where you find the trade), Lush Life and GRG Ventures, Inc. created Terroir Hunting, a Facebook app empowered by the introduction of Facebook achievements. “This is about educating you from the standpoint of, ‘Here’s what all the wine goes through. Here’s why it costs what it does. Here’s what you’re drinking,’” Greenwald-Gonella said. The approach of Terroir Hunting is fittingly direct: users are (digitally) responsible for wine production in its entirety. Handed a vineyard, they purchase grapes, tanks, and barrels and lead vintification. Guiding them along the way are actual wine makers from Chile, who appear when necessary to provide a certain level of interpersonal interaction. “Say you’re in Maipo Valley. The wine maker from one of the actual wineries in Maipo is going to pop-up and council you through the process,” Greenwald-Gonella explained. “A little education and hopefully fun at the same time.” Value exchange is a key element of the game’s process, a characteristic that is becoming a go-to strategy for social networks, like Foursquare badges. “Facebook achievements have definitely served to keep users engaged in much the same way that earning a Foursquare badge encourages a user to keep checking in,” Greenwald-Gonella added. Smirnoff Vodka is ages past the need to raise awareness of its product. With over $230 million in sales each year, there are few vodka drinkers left who don’t recognize the red label and the familiar taste inside. In many ways, that’s the promotional challenge. The vodka market is broad if not supersaturated, leaving distinction for the general public somewhere between bottle aesthetics and the price tag. And yet in 2011, the brand, led by marketers Simon Burch and Michelle Klein of parent company Diageo, called upon their JWT-led creative, digital and social agencies to bring reality to what was then-called “Be There,” an idea that had been floating about the office to document and drive offline social experiences involving Smirnoff. The result, as some 50 cities in the world now know, was Smirnoff Nightlife Exchange. The approach was much like that of Lush Life — provide offline value to online fans, beginning with Facebook. Smirnoff, in this regard, used Facebook as a launching point for a sprawling campaign that required participants to contribute ideas on Facebook concerning what makes their local nightlife distinct. In turn, other participants would vote on their favorites, “liking” that which struck them as particularly unique and thereby placing themselves in the running of people who would win flights to the events. From there, elements of certain countries were swapped, literally. Australian partiers, for example, were greeted in Melbourne by fake snow at the Torino Alps Bar, music from Italian DJs, and luxury cocktails at the Milano room. On November 12, 2011, a selection of participants were also invited to dance alongside Madonna in New York City, with one lucky winner selected to dance on tour with her. Simultaneously, some 50 countries were having their own parties, which were — you guessed it — documented live online. Leveraging users against one another in a high stake contest of both pride and reward proved a significant, immediate success for the brand’s digital presence. Their Facebook fan numbers quadrupled, and, on November 12th alone, fans across the world drank 117,000 Smirnoff cocktails, “liked” Smirnoff cocktails 5,000 times on Facebook, and uploaded 8,000 photos to Facebook. Whereas a traditional advertising campaign would have allowed only for one-way conversation, neither intimate nor interactive, Facebook allowed for a new level of connection. With these fans now in-tow, the effort continues to reward the brand, providing direct access to consumers looking for both products and experiences. Bols Genever, the Dutch brand founded in 1870, was once more popular than household gin, but it’s now, more often than not, mistaken for an offshoot. When hired to guide social media in a direction that would right this wrong, and thereby boost sales, Lush Life turned its attention to education. “That’s what social media is all about — getting in touch with consumers and bartenders. It’s really about the experience,” Greenwald-Gonella explained. “Come out, have a drink, enjoy the Dutch history with us.” Leveraging Facebook and Twitter — the latter, in the case of liquor, being the best route to reach consumers (the opposite of Chilean wine) – Lush Life aimed to reintroduce the brand from the ground up, bringing together consumers, mixologists and the press to get at the core of the issue – misunderstanding – and spread the word. “It’s about disseminating the history through Facebook and Twitter, engaging influencers and writers in the cocktail scene,” Greenwald-Gonella said. “When a bartender asks you what you want, and you ask for a suggestion and the bartender suggests a cocktail with Bols Genever, then he or she has to educate you. Then there’s the trickle down effect.” For example, for the World’s Largest Kopstootje, a Tales of the Cocktail event held last year, Lush Life used social media to document the experience and post their coverage. “The Facebook fans really respond to beautiful photos,” she said. “They drive fans to the page, so once we get them there to look at the awesome photos that we posted from an event that they or their friends attended, then we can educate them more about Genever.” Backed by data from Momentus Media, which found that users are twice as likely to engage with photos than any other medium, Lush Life launched Facebook and Twitter pages adorned with their own documentation and that of invited media — not just major publications, but hand-picked influencers within the specific field. Ultimately, Greenwald-Gonella said, “It’s about changing perception.” Where social media and traditional promotion diverge is the historical, educational, concrete component —the ability to engage, repeatedly, with both consumers and the trade across the same platform, provided them with enough information to disseminate that information to others. Though Smirnoff was working with a market share significantly greater than that of independent brewers and distillers, social networks are a nearly-cost free venue for promotion and engagement. The results are both immediate, in the case of the Nightlife Exchange Project, and gradual, in the case of Lush Life’s belief in trickle-down education. Of those available approaches, contests, event promotion, and gamification are playing a major role in pulling resources away from traditional campaigns (Procter & Gamble, in fact, just cut its marketing budget by $10 billion to focus on digital) and redefining the methods wine and liquor brands use to reach consumers. As social networks further develop and empower brands as a method for their own monetization, we’ll undoubtedly see this shift continue.